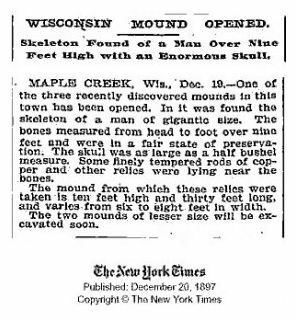 On 10 August 1891, the New York Times reported that scientists from the Smithsonian Institution had discovered several large "pyramidal monuments" on Lake Mills, near Madison, Wisconsin. 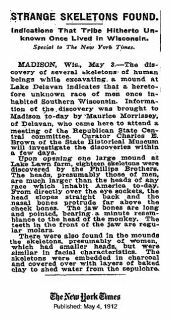 "Madison was in ancient days the centre of a teeming population numbering not less than 200,000," the Times said. The excavators found an elaborate system of defensive works which they named Fort Aztalan.